Unless you’ve been living under a rock you will know that there has been a horrible fish kill on the Darling River near Menindie in central west NSW. Actually there was one before Christmas, a big one on 6-7 January, and now a third, “worse than last time”. Sarah Dingle has done a two-part investigation into the Murray-Darling on ABC RN’s Background Briefing. In Part 1 Best laid plans: The Murray-Darling Basin in crisis she begins by going wading in the southern end of the Coorong with ecologist David Paton. It should be a watery paradise for wildlife, which it was fifty years ago when Paton was a boy. Now it is up to 3 to 3.5 times saltier than seawater in the south lagoon, and taken over by algae. It’s dying. One comparison is that back in the 1980s there were 40,000 sand pipers in the southern lagoon. Last year  the count was less than a thousand. Dingle had seen an internal South Australian (Labor-initiated) government report about what’s called the Limits of Acceptable Change. The report recommends that bird populations have to fall 80% below normal before a report of concern is made to RAMSAR. There seems to be reluctance to fess up to RAMSAR that a crisis exists. The Basin plan will see $13 billion spent on improving irrigation systems and increasing environmental flows. $8 billion has been spent and the Basin Authority claims that 2,107 gigalitres has been put back into the river system, officially banked in the environment’s account. But it just doesn’t seem to be showing up. The problem seems to be ‘return flows’. Half the water from irrigation flows back into the river underground, according to the models. Some $3.5 to $4 billion has been spent on improving irrigation systems, so that only a quarter flows back. But they can’t measure it, so no-one knows. Profs Quentin Grafton and John Williams have had a go, and they reckon at best the environment has got nothing additional; it may even have gone backwards by 140 gigalitres. For perspective, the water theft in the Four Corners program was 10 gigalitres. There is an obvious conundrum that having less water return to the river increases environmental flows unless allocations have been reduced. Not sure they have been, in part because the above calculations are average and allocations are specific. The Federal Senate is due to vote on major changes to the Murray-Darling Basin Plan – if it passes, it will effectively end further water recovery for the environment in the river system. That bold and brave statement brought out the crabs, as it were, and as you can read on that link the ABC’s independent complaints handling body concluded that the statement needed to be qualified and also that undue weight was given to the research paper by Grafton & Williams. Plus a couple of factual errors. I believe the parliamentary motion was passed, I think with Labor support, on the basis of trusting the independent umpire. From that introduction you could profitably turn to the Late Night Live segment Murray-Darling fish deaths no surprise to science where Phillip Adams interviews Quentin Grafton, Professor of Economics at the Crawford School of Public Policy at the ANU and Director of the Centre for Water Economics, Environment and Policy, who did not hold back. 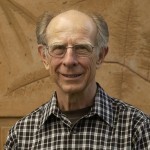 He said that water allocations had never been based on science, rather on established practice back in the early 1990s. Adjustments have not been made for reduced flows that may be caused by climate change.At every turn special interests had been at play with the result that water allocations had steadily increased. The central issue revolved around ‘return flows’ as indicated above, where improving irrigation systems was held to mean more water went back into the river, on the basis of some very convenient models, whereas what science we have is suggesting the opposite. There was and is simply no appetite within the MDBA for measuring anything. Grafton seemed to be saying that the ignorance was wilful, and suggested that the barrister leading the South Australian royal commission thought so too. That report is due soon, but I’ve not had time to follow it. However, Grafton seemed to be suggesting industry capture amounting to fraud. He believed that any new approach to the problem needed to be based on transparent measurement of the actual impact of policies. Grafton is a member of scientific panel set up by Labor under the leadership of the Australian Academy of Sciences to advise on the reasons for the fish kill. Then the Federal Government set up its own inquiry, to be led by Melbourne University’s Dr Robert Vertessy, along with news of another fish kill at Lake Inverell, on the Macintyre River. Fortunately the scientists leading both inquiries said they would share information, showing more sense than politicians. I also heard a caller on ABC Nightlife from a former irrigator and member of water management bodies, now a Labor candidate in the next election, who said that Murray flows, I think as measured at Wentworth where the Darling joins, had roughly halved this century, compared to the last two decades of last century, presumably due to climate change. 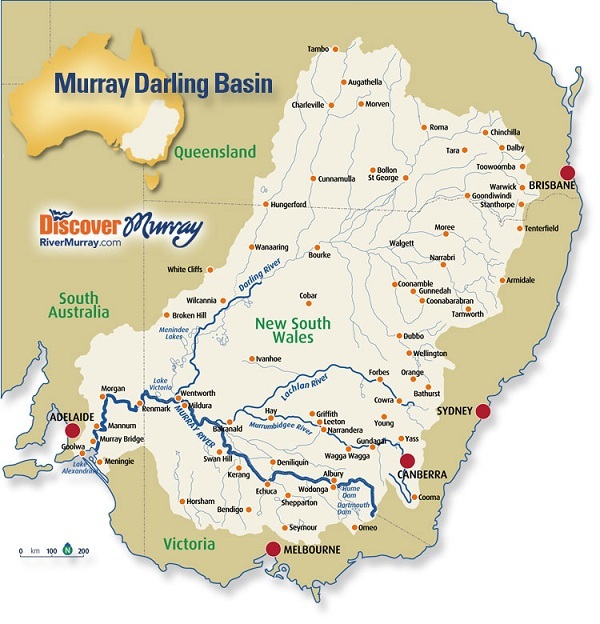 In two previous posts – Climate change and the Murray Darling Basin (2010) and Murray Darling Basin perspective (2016) – might help people to frame the whole issue. I’ll repeat here some general information and add a few comments. Very little of the Basin is in South Australia. The Basin consists of 23 river valleys covering over one million square kilometres, 14% or one seventh of Australia. It produces 53% of Australian cereals grown for grain, 95% of oranges and 54% of apples, and supports 28% of the nation’s cattle herd, 45% of sheep and 62% of pigs. Ecologically it is rich, with around 30,000 wetlands, some RAMSAR-listed, 35 endangered species of birds, 16 species of endangered mammals and over 35 different native fish species. The average annual rainfall is 530,618 GL, 94% of which evaporates, 2% drains into the ground and 4% ends up as runoff. Wilcannia is top, right, Mildura and Wentworth at the bottom. I think about 6% of the runoff comes from Queensland, from memory 62% from Victoria and about zero from South Australia. However, both Melbourne and Adelaide outside the basin get water from the basin. South Australia benefits a lot, especially in the Riverlands and Adelaide town water, but contributes little in terms of water. 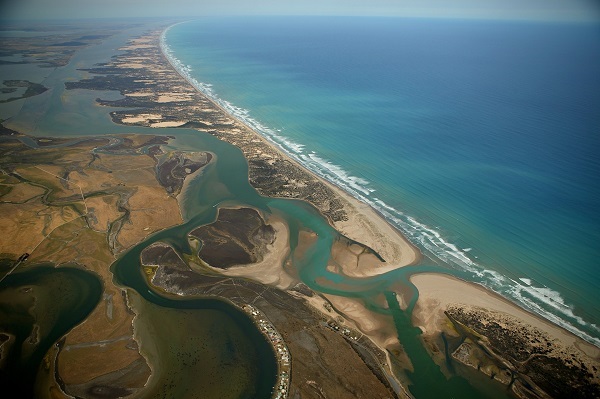 Much of their concern environmentally is with the Murray mouth, the saltwater environment of The Coorong and the freshwater lake systems around Lake Alexandria. 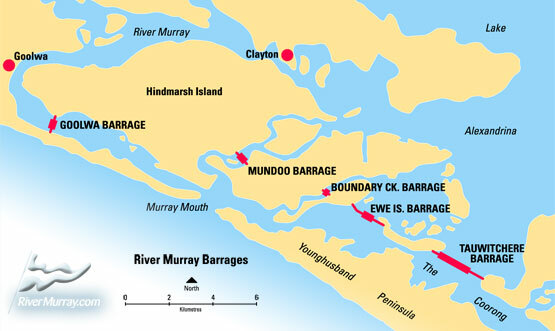 I’d like to see some serious consideration of taking out the barrages, returning the lower Murray to a tidal system, as it originally was. In other words, the ‘natural’ ecology near the Murray mouth is highly artificial, seems to work well once fro the environment and farmers above the barrages accessing fresh water, but is failing now. South Australians in particular get agitated about Cubbie Station. I would suggest that what happens at Cubbie matters little to SA, but it is perhaps symbolic for cotton farming, which does matter, especially in the Darling. 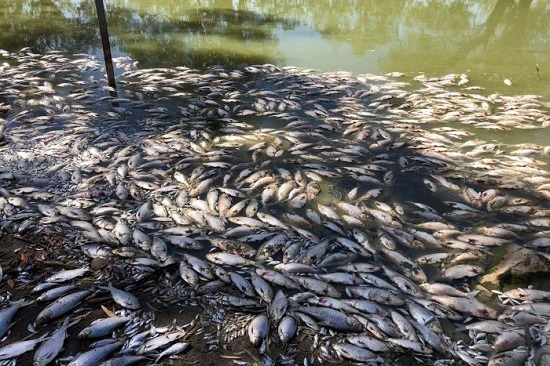 Maryanne Slattery and Roderick Campbell have authored a substantial report for the Australia Institute, summarised at New Matilda and elsewhere, with a specific charge – the fish kill was caused by mismanagement, not the drought. Apparently the lakes were largely drained in 2016-17 when there was plenty water to the south and none coming in from the north. In 2016, Joyce supported reducing environmental water allocations in the Murray–Darling basin in order to reduce the impact on towns and people currently dependent on the rivers. This was contrary to a 2016 election promise by the government, and was widely criticised by environmental groups. In 2017, Joyce stated that the Commonwealth would not intervene regarding accusations of water theft in the basin. Prof Grafton says holding both ministries was a conflict of interest. However, the existing plan was an artifact of the Gillard government, with Tony Burke the minister. I recall that Tony Windsor did a lot of work on formulating the plan. That will do from me. I’ll await with interest to see whether blame will accrue and whether any light is thrown on where we should go from here. Did this first as an initial Weekly salon item, but it spilled out into something bigger. I haven’t had time to fully research and would welcome corrections and additional information. Part of the environmental problem is that the health of the river doesn’t simply depend on a certain amount of water running down the river sometime over a year. In the past the health of the river, and flood plains depended on floods occurring at times of the year when the water was warm enough to trigger egg laying by fish species that laid there eggs in the shallows created by the floods. Floods were also important for giving the river red Gums a drink every so often. The whole thing needs to be more scientific than some of the discussion going on at the moment. In terms of water harvesting timing (after flood peak?) and location may be far more important than actual volume harvested. But the Press and politicians insist on simplifying it down to water volumes, repeatedly. With any luck, the hydrologists, ecologists and agricultural boffins at the MDBCommission are more astute than that. A royal commission has accused federal officials of maladministration and breaking the law in their management of the $13 billion Murray-Darling Basin Plan and says they committed “gross negligence” by ignoring potentially devastating effects of climate change. The excoriating 745-page report handed down on Thursday called for a huge shake-up in the way Australia’s longest river system is managed, including putting the environment at the centre of decisions about how water is used and establishing an independent audit body. The article also includes a few talking points. Pollies love dams because voters can see them and they are great big monuments to “visionary leaders.” They also love irrigation canals because, er, voters can see canals and it sounds a bit romantic like Venice even if it isn’t. They don’t really like recharging aquifers even though it reduces evaporation and may get some springs working again. (Why not? Voters can’t see underground water and recharge systems are pretty small. They don’t seem to like the idea of protecting trees even though trees increase the rain by pumping water into the atmosphere. Cracked record but i think we need some creative science and creative thinking about the Murray Darling and how it shoul be used and protected. Bit hard for pollies who are always saying that the scientific consensus is just plain wrong. Global warming will help provide new opportunities as the southern ocean gets closer and closer to Goondiwindi. 1. What would you do if you could go back to before any dams were built and negligible water was being extracted from the basin? 4. Are there logical compromises between the environment and agricultural production? 5. Is there scope for recharging aquifers or other water storage options that reduce evaporation losses? 6. Can we use weirs, pumps or what ever to maintain the health of red gum forests, critical wetlands and fish spawning areas etc. with lower environmental water consumption? 7. When are we going to return lake Alexander etc. back to their natural tidal state? You might also want to ask how important keeping water in the Menindindi lakes is? (Just asking. I don’t have a clue how important it is now that Broken Hill no longer needs that water. John, what a good question! Turns out I was largely ignorant of what the arrangements were in that part of the world. Menindee (please note correct spelling, as I’ve just found out) is a town, population 551, who need potable water. Menindee Lakes is an “ephemeral freshwater” feature comprising a series of shallow lakes, which would mainly contain water after floods. However, after work that started in the late 1940s Menindee Lakes Storage was completed in 1968, largely to supply water to Broken Hill which had relied on bore water, but also used for agricultural and recreational purposed as well as creating a wetland for wildlife. This article from 2015 looks at some of the options of ensuring water for Broken Hill with a budget of $500 million, including a pipeline of treated water coming from Whyalla. The decision was to build a pipeline from Wentworth to bring water from the south out of the Murray. So the system loses about one Sydharb (500GL) pa. The MDBA manages the system as a shared basin resource when the lakes rise above 640 GL, and until the lakes drop below 480 GL, when the NSW state Government takes over. Since December 2016, when the Menindee Lakes storage last peaked, there has been approximately 140 GL of inflows as measured at Wilcannia gauge. So even in cooler places, deeper dams have much lower evaporation losses. Good point. The link implies that the lakes used to dry out from time to time. It is worth remembering that the drying of the lakes gives an important advantage to species that survive in some way during times when lakes and rivers are completely dry. Think toads that fill their guts with water and bury themselves under the mud until rain softens the mud and it is time to come out again and breed madly. Or animals that lay their eggs in the mud so that the eggs will mature when the rains come. Or…. However, if the rivers and lakes have water all the time other species are able to survive, thrive at outcompete the specialists at surviving in dry and variable environments. Ambi: Evaporation rates depend on surface area, wind speed and and water temperature. On hot days shallow water will tend to be warmer so shallow storage will tend to be higher per m2. Recharging aquifers where possible is better because the stored water is not in contact with the air. John, I think that at Menindee like the barrages near the Murray mouth people have habituated to changes made by humans and now regard them a ‘natural’. I believe there were moves to have the Menindee L:akes RAMSAR listed. Years ago I was looking for a general mathematical model for lake evaporation, and the factors you mention were the most important, but the textbooks said “each lake behaves differently, and there is no general model”. I think the difficulty arises because of local topography, variations in wind direction, etc. hills, forests influencing the evaporation rates. With a very flat landscape and very shallow water, these complications may recede. and actual evaporation rates, will give an accurate description of these Menindee Lakes for planning purposes. Discussion on the MDBA broke out on the Weekly salon thread, with some important references. People accessing the archive in future would miss that, so I started summarising it here. It became too long for a comment, so I remodelled as an update. When I had 1400 words, I realised that it really needed a separate post, plus the fish kill and SA commission were really different topics, although related. Then I found the Commission report, which no-one in the press has linked to. It includes significant concrete information about climate change which has been skipped over by the media, and even some of the scientists. Then there is a wealth of information in the submissions, including no.78 from the Wentworth Group of scientists (431pp) – mind-boggling detail, masses of tables, graphs, maps etc. Now I need to restructure what I’ve already written, which will take a bit of time, but I think is worth doing. Skipped over by the media? Perhaps the usual suspects have, Brian? On the subject of media skipping over climate change re MDB Royal Commission – Nicole Hasham picked up on it. Decorated Australian firefighter Greg Mullins says climate change is contributing to bushfires so horrendous that homes and lives cannot be protected, and the federal government will not acknowledge the link because it has failed on emissions reduction policy. The extraordinary comments by Mr Mullins, a former NSW Fire and Rescue Commissioner, coincides with the Tuesday launch of the group Bushfire Survivors for Climate Action, which will lobby the major parties to drastically reduce fossil fuel use and cut greenhouse gas emissions. Climate change cannot be ignored in anything we now do. Good find Brian, similarly I was surprised last night on Tony Windsor’s twitter feed about the lack of literacy or ignorance on the science of CC and Murray Darling. Some dude actually almost accused scientist of not being ‘transparent’ and their need to communicate their findings better. So I dug up and replied with the MURRAY BASIN CLUSTER REPORT and also the Wentworth group submission to the RC as an example. There is much science on that topic it is not funny. I also gave them a report on the defunding of CSIRO Climate Change research back in 2016 as well as an ABC report from last year where a scientist complaint about the MDBA interfering with research last year. Brian, you may find this Stark inflow figures tell tale of drought severity report by NSWWater interesting. It looks like the whole situation has escalated across the climate event board in recent times. He also indicated that he found the last piece of evidence in this years extraordinary events which will provide an understanding of the “heat engine” which is driving these decadal warming steps. Gallows humour perhaps? Nahhh.. to bloody stupid to realize what they are saying may be their kiss of death. Australia’s very own Aral Sea …. The nation’s pre-eminent science agency has cast doubt on the environmental benefits claimed under the Morrison government’s main climate policy, raising concerns Australia is overstating its contribution to the fight against global warming. Despite concerns over the scheme, known as the emissions reduction fund, there is speculation it will receive a federal budget cash injection of up to $1 billion over three years as the government seeks to neutralise claims it is failing to address dangerous climate change. No wonder that the COALition government has been trying to defund CSIRO Climate Change research. From what I’ve seen, it is genuinely difficult to estimate sequestration of C in trees, undergrowth. Then the really hard ones are soil biota. And try algae, plankton for size…. Some folk reckon if you treat soil gently, it can increase its capacity to carry C in its mucroscopic biota, or in more luxuriantly growing plants. Years ago there was a Carbon dept in Canberra. A spokesperson told a group there was huge potential for C storage in forests and farms. I asked what were the error estimates for the figures being presented. No reply. Authorities in far west New South Wales are preparing to stop releases of water into the lower Darling River, cutting off flows to the region for the second time in three years. 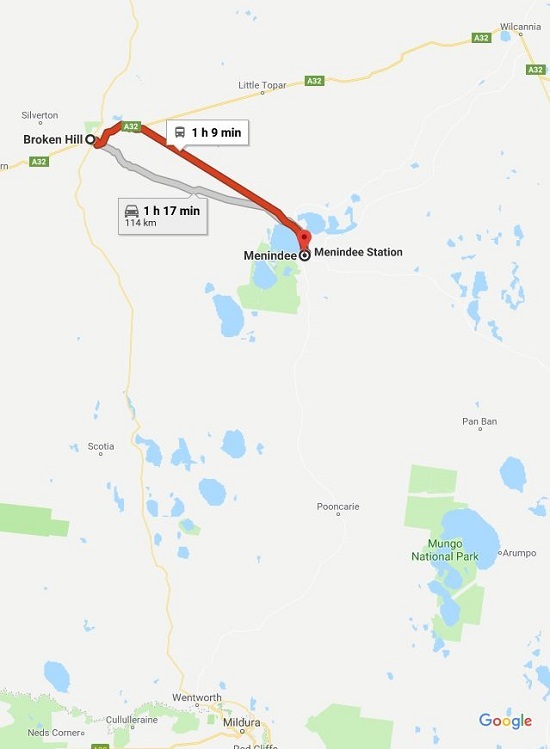 WaterNSW will likely close the gates to Menindee’s Weir 32 within a week, to conserve the drinking water supply for Menindee and Broken Hill being held in the Menindee Lakes. The agency has conceded that cutting off releases from the lakes into the lower Darling could result in further fish deaths. Citrus growers along the lower Darling have already watched the river stop flowing twice in recent years, and temporary block banks have again been constructed to allow landholders access to pools for stock and domestic use. Alan Whyte from Jamesville Station on the river said he had been expecting the move. “We have access to water from one of the block banks, and realistically the majority of properties will have access to the block banks, but not everyone will,” Mr Whyte said. Under natural conditions the lower darling would keep flowing and the Menindee lakes, that depend on overflow from the Darling during floods would dry out until the next flood. For lower Darling growers, it is the fourth time since 2003 the river has stopped flowing. “The river had been running continuously before then back to 1943,” Mr Whyte said. “Everyone — state and federal — has got to start treating the river as the highest priority. Stopping fish kills in the Menindee lakes??? Science and economic work is required to help set priorities. A senior Nationals minister says the impact of climate change on farming is now undeniable, conceding his views differ from “many of my colleagues”. NSW Primary Industries Minister Niall Blair said the “sands were shifting” on the climate change debate as he prepared for a Council of Australian Governments meeting of agriculture ministers in Adelaide on Friday. There must be an election coming soon. Yes, let me guess: will it be held in NSW? ? NSW election: March 23 – 6 weeks exactly to go. – the next half-senate election will have to be held before the terms of Senators expire on June 30, 2019. May 18, 2019 is effectively the last date for holding the next House of Representatives election. – A maximum of 14 weeks. One of the reasons I couldn’t complete the new post I’d planned was that I heard the beginning and end of this Rear Vision program with a cast of stars. They were talking about the Murray as a heavily modified system which changed its character from at least the construction of the Hume Dam in the 1930s. Before that after the annual snow melt the river was more like a series of long water holes. I think most of the water actually comes from higher up than Albury. After Hume, the pattern changed to a steady flowing river. There is a real question as to what a ‘natural’ MD system looks like, made more murky by climate change. Any way I was meeting someone and missed most of it, then haven’t had time to get my head back into the subject. Now I think I’ll wait to see what the two groups of scientists come up with. Stopping/reducing the annual flooding would have made a difference because it supported a wide range of plants and wildlife that depended on the flood to give riverine forests, wetlands a thorough drink and provided shallow water for fish to lay their eggs etc. The drying would also have been important because it favoured species that could live with the flood and dry cycles.